Writer, stand-up comedian and vegan Sara Pascoe is kindly supporting May’s Friends Scheme with a prize draw to win a copy of her latest book and gig tickets. be accessible and funny. Hence all the personal stories. always thinking of new topics? all yoga retreats and being single and happy! 4. What and who makes you laugh? Edinburgh Fringe preview show. What can we expect? 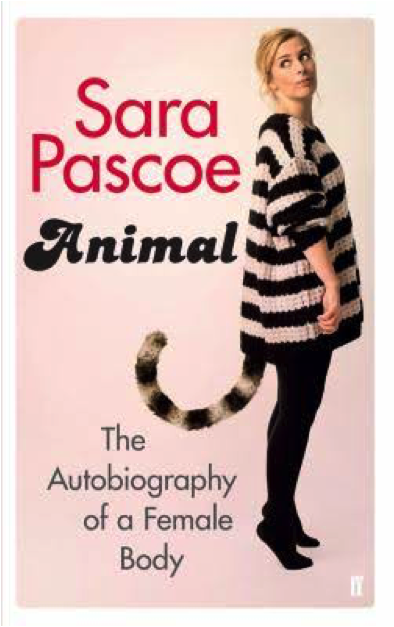 Sara Pascoe’s award-winning book Animal and gig tickets for her London Edinburgh preview are our May giveaway for Feminist Library Friends. One winner will be chosen from a prize draw on 10th May. To become a Friend and take advantage of this great offer, please sign up here: http://feministlibrary.co.uk/support/friends-scheme/ Once signed up email friends@feministlibrary.co.uk to be entered into the prize draw.